Fight that greasy mess and restore your locks to silky softness with these purifying formulas. Suffering from an oily scalp is more than just an extra feeling of greasiness by the end of the day. It affects your hair as well. Whether it’s that cringe-worthy shine in photos or limp locks, it can be hard to disguise those oily roots. A good amount of your situation has to do with your genes. But not to worry. There are small changes you can make in the shower to freshen up your scalp and do away with the grease. The true is, using a specially formulated shampoo for oily scalp can go a long way in controlling that gunk! We’ve found the best ones that will clarify your roots without drying them out, leaving your hair silky soft as can be. Why do I have an oily scalp? The greasiness on your head is all from sebum—the natural oil your skin produces to protect, and keep your hair moisturized and smooth. But sometimes these natural levels of oil production can get out of whack. It can be due to genes, changing hormones, and even the products you use. Harsh chemical and heat treatments, and even the shampoo you use can dry out your hair. 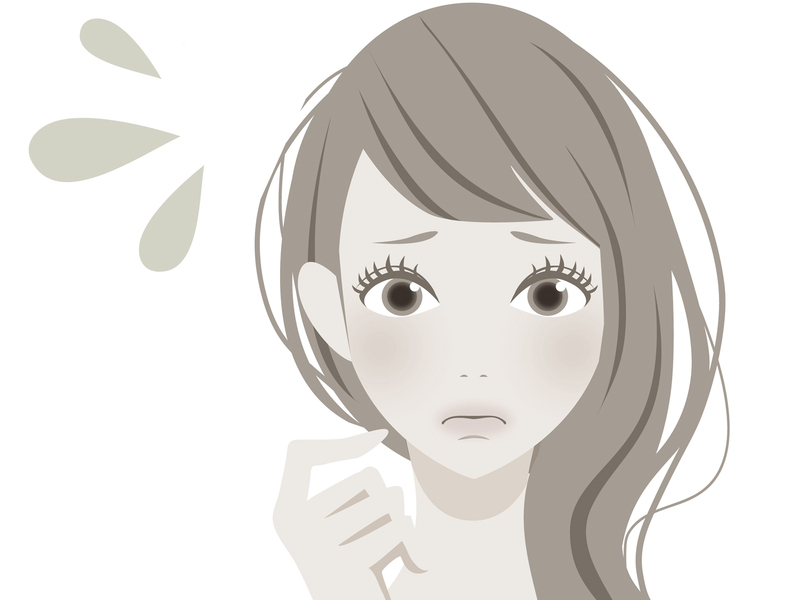 What results is the same phenomenon that causes dull, acne-ridden skin. To make up for the moisture loss, your scalp generates even more sebum. This results in excess oil, clogged pores, and even scalp bumps known as folliculitis. This is when your hair follicles become inflamed from bacteria or fungi, leading to itchiness and hair loss. 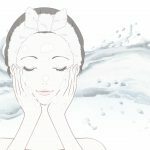 How do I choose a shampoo for oily scalp? 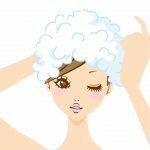 First things first, washing your hair and scalp regularly is crucial. But just water isn’t enough for removing all that dirt, oil, and bacteria from your scalp. And you need to pay attention to the rest of your hair too, because all that oil could be making contact with your face, leading to acne there! Just dousing your head with dry shampoo everyday isn’t going to fix the root of the problem either. And if you aren’t careful about the shampoo you use, it could end up drying up your hair and causing your scalp to produce even more oil to make up for it. Look for a sulfate-free shampoo, and stay away from harsh detergent ingredients that can irritate your skin. In addition, it’s best to stay away from other chemical ingredients that can cause long term damage to your skin, hair, and health. We’re talking about harmful synthetic preservatives, fragrances, and dyes. Instead, pick a clarifying shampoo with natural ingredients known to help purify your scalp without causing damaged hair. Natural sources of salicylic acid, green tea, lemon, and other botanicals are your best bet. Keep on scrolling to see our top recommendations for healthy formulas that actually work. This shampoo is free of synthetic ingredients, so you can feel good about using it daily if you need to. Both burdock and neem are known for their astringent properties, which means they work together to unclog pores and keep excess oil curbed. Green tea helps to balance sebum production, while essential oils keep your scalp fresh and itch-free as you go about your day. A detoxing shampoo that will finally give your scalp a sense of relief. Meadowsweet extract and eucalyptus are the hardworking astringents in this formula that work to balance your scalp, and you won’t have to worry about any product buildup. Not to worry about drying your hair out. Jojoba oil and hyaluronic acid lock in moisture to leave hair feeling silky smooth and soft. This formula is gentle enough for daily washing, and ideal for all hair types. Antioxidants and salicylic acid from acai and blackberry tackle gunk while rebuilding your hair health. We’re in love with the luxe plant oils in this formula such as argan oil and sea buckthorn oil that bring balance back to your scalp. They’re perfect for damaged or weakened tresses. Dealing with the unlucky combination of an oily scalp and dull hair? This shampoo works to specifically remove oil build up and brighten up your lackluster locks. Citrus oils from orange, grapefruit and lemon restore radiance to your hair while also absorbing excess oil. Quinoa protein and vitamin E help nourish brittle hair back to health. How does Tree to Tub fight your greasy mess without drying out your scalp? By balancing the pH of your skin! Thanks to the soothing soapberry and purifying peppermint oil, this formula works to restore the natural pH balance of your scalp to reduce excessive oiliness and dryness. This shampoo is hypoallergenic and safe for oily scalp, dandruff, psoriasis, and eczema. Eucalyptus & Peppermint Balancing Argan Shampoo from The Seaweed Bath Co. This balancing shampoo works to restore moisture and nutrients to your scalp, so it isn’t freaking out and leaving your hair greasy. Bladderwrack seaweed detoxes while soothing hair with sea minerals and amino acids. It’s also anti-inflammatory, and is perfect if you’re already struggling with inflamed or irritated skin on your head. Argan oil and pro-vitamin B5 condition hair to reduce split ends. Looking for a deep cleanser that will also give you a boost in scalp health? This no-fuss formula should do the trick. Green tea extract helps balance oily production while protecting cells with antioxidants. Ginseng extract fights inflammation and encourages blood circulation for healthy hair growth. The shampoo rinses off cleanly, leaving your hair feeling light and refreshed. Everyone’s skin and hair is different. But if you’ve been struggling with oil buildup on your scalp, washing your hair every day may be necessary to help restore balance. 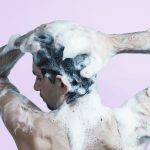 All of the shampoos listed above are gentle enough to use daily, so make sure to massage away, and properly get rid of that extra grease from your head. Don’t forget to follow with a scalp-healthy conditioner to lock in moisture, and help prevent that mess from happening again. In addition to that, a few more healthy changes can make your hair care routine easier for you. Re-evaluate the products you’re putting on your hair in the shower, as well as any styling products or chemical treatments you regularly use. With a regular cleansing regimen and the right products, your head and hair can feel fresh and clear again.